Coughing, easy watering, nose dripping, body sweating…sounds like a typical winter run! We all know that the cold weather brings out the physiological responses from our bodies than warm weather. Now think of all the fluid that is being lost through our eyes, nose, and mouth during the winter run. With each breath we take every time we step out, our lungs must moisturize the air, which steals moisture from our body. If it’s really cold outside, try wearing a mask or a balaclava that covers your face which will help to moisture and warm the air before it enters the lungs. You should be properly layered so that your base-layer can wick moisture away from your body, you won’t feel like you are sweating that much. Perspiration that reaches your skin is quickly evaporated and you might not even feel that sweaty at the end of your run. When it’s cold, blood flow is constricted. This constriction can cause an increase in blood pressure. The body tries to counteract the higher blood pressure by getting rid of some of the volume water in your blood. This all happens by increasing urine output which contributes to dehydration. 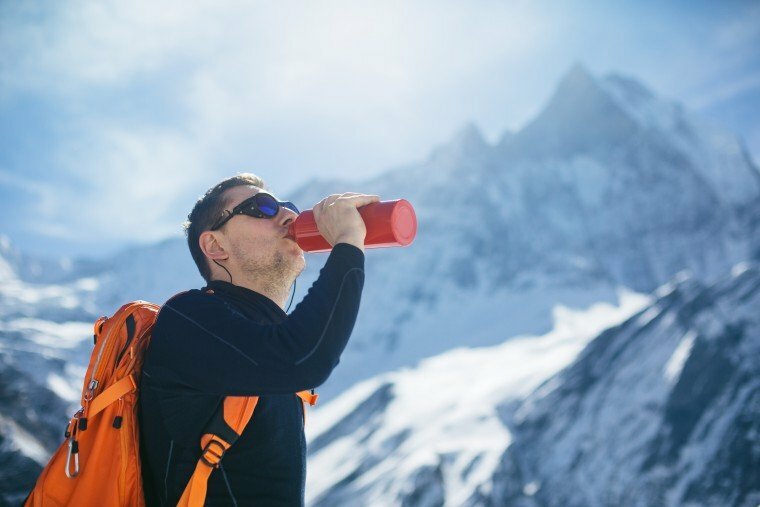 Proper hydration is often forgotten during the colder weather and the cold months are certainly upon us! At Pressure Coolers, we will do the utmost to fulfil your hydration needs. Send us an email at sales@pressurecoolers.co.uk and we will assist you in finding the right cooler!